UNITY youth featured at Orme Dam Victory Days – UNITY, Inc. The Fort McDowell Yavapai Nation host the events in celebration of its historic victory over the federal government during its battle over the proposed Orme Dam. The dam would have flooded a majority of the Fort McDowell Indian Reservation, located 35 miles northwest of Phoenix. In 1976 the Fort McDowell Yavapai Indian voted overwhelmingly to reject the Orme Dam in a referendum vote. 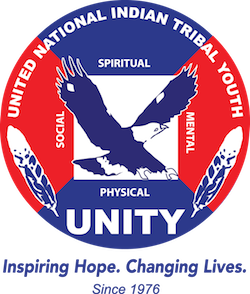 In attendance for the festivities were the San Carlos Apache Youth Council, Tohono O’odham Nation Youth Council, Wa:k UNITY Youth Council, Young River Peoples Youth Council. “We are grateful for our partnership with UNITY and look forward to future collaborations!” said Zach Doka, Fort McDowell Yavapai Nation Office of Tourism. The youth councils also participated in the tribal parade. A big thanks to all the youth, some who traveled long distances, who participated! Also, a special thanks to UNITY’s Social Media Specialist Jared Massey for spearheading the parade entry and Yavapai Village performances.